Iron Savior is a heavy metal band formed in Hamburg, Germany in 1996. It was formed by Piet Sielck (Savage Circus), Kai Hansen (Helloween, Gamma Ray), Thomas 'Thomen' Stauch (ex-Blind Guardian,Savage Circus). Both Sielck and Hansen handled lead vocal duties, Sielck doing the most parts and was also the lower voice and Hansen the higher and sang occasionally. The band has a science-fiction theme to their writing. The band has a science-fiction theme to their writing. Most of their songs narrate an elaborate story based on a plot involving a self-aware space vessel (the Iron Savior) constructed by the lost continent of Atlantis. Recently, themes include explorations on one's perception of reality and the spirit of freedom. 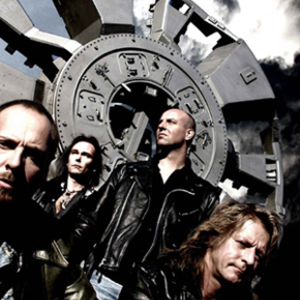 Their style may appeal to fans of Iron Maiden, Gamma Ray and Helloween, among others. Many of their albums include a cover song, given new life through typical Iron Savior style. Iron Savior has done covers of Seal, Judas Priest, Helloween, and Black Sabbath to name a few.